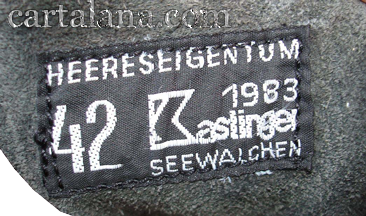 In fact, these outsoles were provided by a wide variety of manufacturers, the most widespread of which were the companies: "KSBW", "RAX", "MONTARA", "DAVOS" - the outsoles; "Steinkogler", "Volkl", "Kaslinger Seewalchen", "Edelweiss", "Mavic Alpine", "SEMPERIT" - soles and tops of boots; "Holzer" - tops. 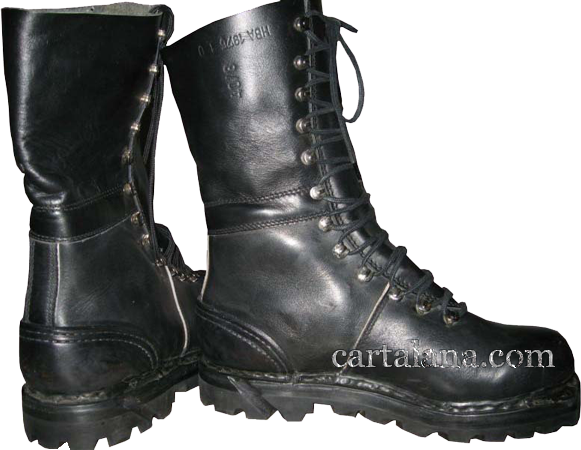 2) With twelve pairs of lacing hooks, reinforced counter, and more high compared to the aforementioned boots. 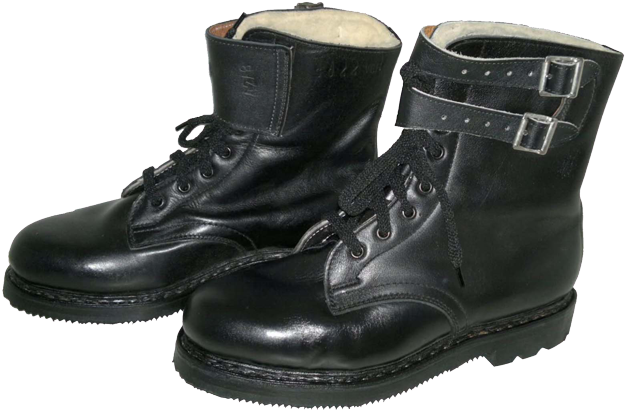 In the 1970s, the marking stamps used to be put on the outside part of the boots, at the top. 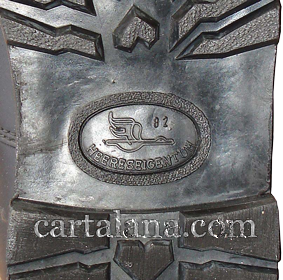 Later on the marking used to be indicated on a textile label on the top inner part of the boot's tongue. Oblique grooves on the heels of these boots were intended for ski bindings application. 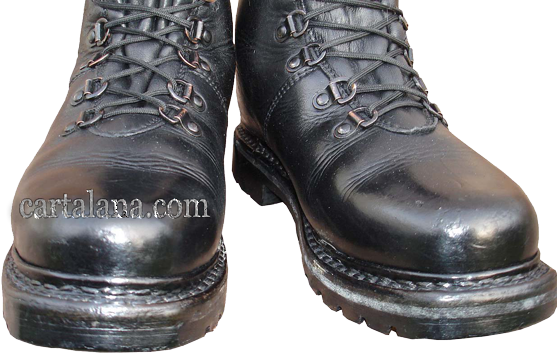 The soles of Austrian heavy military boots are fixed to the top by glueing and stitching method, the welt of the sole is also stitched and covered with the layer of vulcanized rubber, so durability, reliability and waterproof features of the boots are improved significantly. 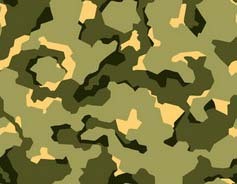 Unlike creators of Bundeswehr army boots "Mod. 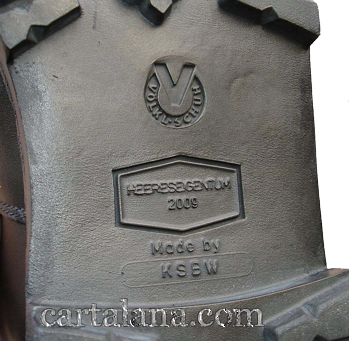 2000", the Austrian footwear designers did not experimented with foamed rubber layer in the sole. This foamed rubber layer appeared to be a really weak point of the boots. Very often the owners of the "Mod. 2000" Bundeswehr boots had to throw away almost new boots due to overdrying and crumbling of the foamed rubber sole after several years of storing. 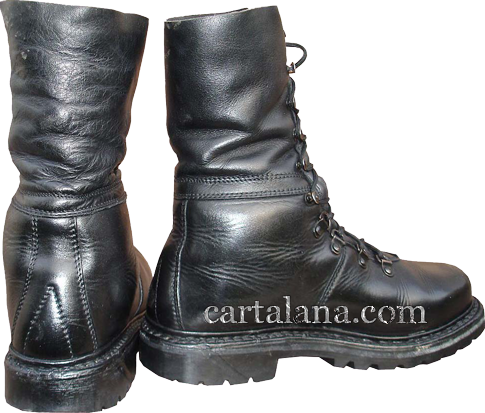 Late model of Austrian heavy boots feature the inner layer of cushioning material (wadding) between the inner layer of high quality yellow "glove" leather and outer layer of strong and flexible black leather. 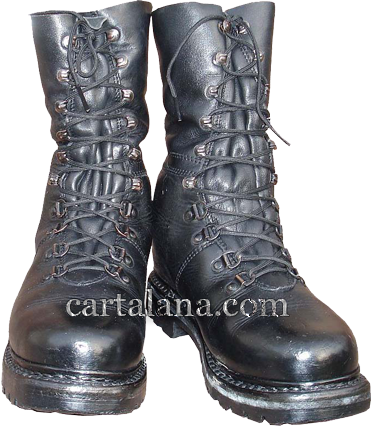 The boot's tongue is composite, with cushioning layer in the center and just soft leather inserts on the sides, such construction allows to adjust the width of lacing. 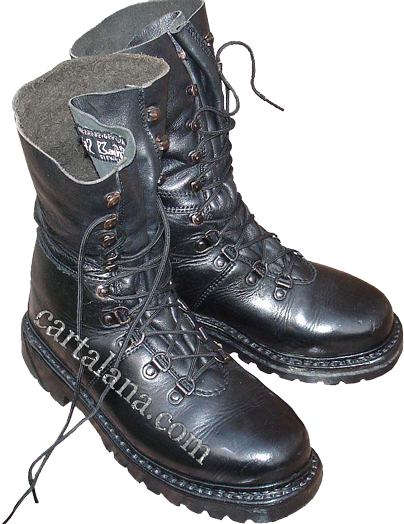 In the early models of heavy boots the padding is provided just at the bottom of the boots up to the level of the tarsal bones. 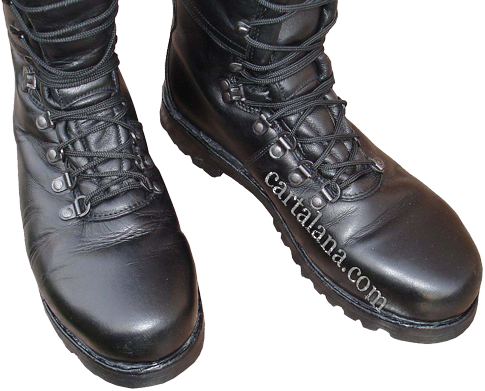 Above this level the boots are unlined and have no padded "collars" on top.